hubNashville was launched in 2017 with the goal of being the one-stop shop 3-1-1 service for the people of Nashville, and in it's first full year, hubNashville fielded 83,000 complaints and requests, the majority of which were related to trash and recycling. NASHVILLE, Tenn. — Nashville fielded more than 83,000 complaints and requests through their system hubNashville in 2018, hubNashville’s first full year of operation, and 98% of those requests were fulfilled. This data comes from hubNashville itself, which allows the public to see all of the requests online, and the public can see if the requests have been fulfilled or not. The top requests were related to trash and recycling, with more than 44,000 in that category, accounting for 53% of the requests. The second biggest group of requests (37%) were for street, road, and sidewalk issues, such as pothole fixes. The next most requested categories were for property violations, transit, electric and water, public safety, and other categories. With all of the complaints being reported to the same source, it’s easier for departments to sort through the complaints and requests, and it’s easier for the metro government to address the issues. "I think it's just really helpful to have it all be centralized,” council member Freddie O’Connell said. “it's really one of those moments where Nashville as a city, as a metropolitan government, we've kind of put a customer service piece in play that anybody in the city can use." 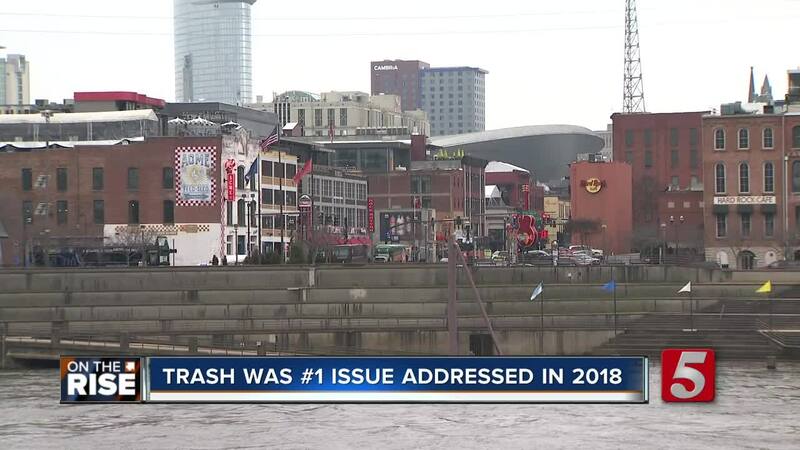 While many have heard of hubNashville , O’Connell hopes more people will take advantage of the service, whether it’s reporting a pothole, a missed curbside trash pickup, or any other issue, big or small, that they come across.